Monster MMORPG Game Official Forum » Monster MMORPG » General Discussions » Let's Go Brain Picking! As recently, this game is only 15% completed which means there is a GIANT EXPANSION PACK COMING OUR WAY! AHHHH huge game ahead of us in the future for Monster MMORPG. With that said, we've had the idea of creating a story line or origin story for this game. Great idea guys.. but where is it? We've only mentioned it about 1,000 times now and got no where. What Sparrow thinks of story? Having a story line would greatly enhance the monster world. Gives each class a definition and how this place came to be in a fictional imagination. Currently the Ancients stand as the strongest but due to our ever-growing future, something could be out there that would obliterate the Ancients with ease..
Ideas can be toppled on from everyone. Building up a story and expanding the mmorpg into something completely larger, creating a multi-gaming experience would be fantastical. More things to your attention and everyone could pick something they want to do. Right now we have different users.. 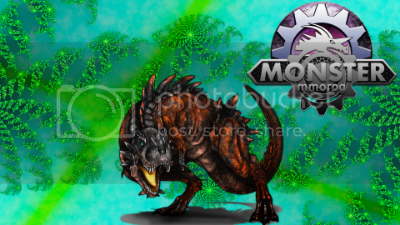 User #1 - Catch only the best monsters with the best UVs, best abilities, best natures, best moves, best stats. I shall rule PVP forever! Muwahaha.. User #2 - Catch only the best everything monster for money! Yay money!!! User #3 - I'm just going to be the best. Thank you very much. User #4 - Defeat 19 zones, catch, train, conquer. Done. User #5 - Hunting Hunting Hunting. Collecting. Most likely we have more there..
Basically, the only point of this game is to catch strong monsters, get to zone 19 and gather all the 19 badges, raise your monsters to the best battling output and raise the ranks. We've had other ideas such as Quests, Achievements, Guilds, and many different forms of actions to take away that main concept. What are you going to do once you completed everything? Yes, we are still adding more and more monsters but how about that EXPANSION PACK AHHHH!!! huge expansion we are waiting for? As for the story, it creates a flare of entertainment. Hmm what i really would like, would be a "end zone"
Call it victory Zone and make the npc and "league" (instead of a gym"
The harder it is, the more time players will spent hunting mons setting up a winning team and trainning it. And more PvP after the game , the only thing left is hunting or Challenges via PvP , so there should be more things added, like 2v2(players and monsters) and added team moves and stuff. it would really help get everyone into the storyline or not? Wouldn't it be cool if there were some kind of modes in the game that put your monsters non-battle abilities to the test? Like something as beauty contest, quiz battles or other mini-games where the monsters fight each other but where their success is not determined by their battle stats. You could give monsters that are currently very bad a use by making them strong in these kinds of game modes. It would keep monsters different from each other and still give reasons to catch not only the combat-strong monsters. It will take time for the owner to find a way to code homes for players, first he is handling the issues with speed and some bugs that come up. I am sure he will put a story line and quests in the future for people to enjoy the game more, as for atavar customization i have no idea if it will be possible, but maybe in the future it will be. (2015-01-06, 11:22 AM)Monsterman Wrote: Wouldn't it be cool if there were some kind of modes in the game that put your monsters non-battle abilities to the test? Like something as beauty contest, quiz battles or other mini-games where the monsters fight each other but where their success is not determined by their battle stats. Super contests, so we can add ribbons too? Trainer school, maybe after reading all they give you a quick claw too? Ball capsules and seals for people to customize their own?